Is this the most enthusiastic reaction to a proposal ever? 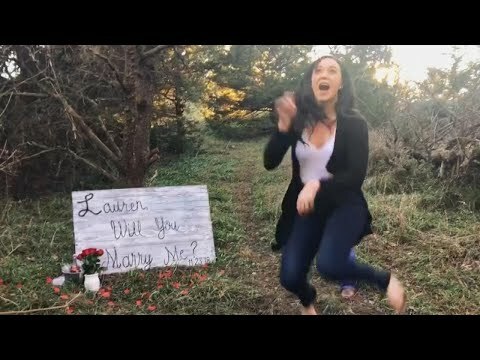 Lauren was on a nature walk with her boyfriend Tyler when she saw a handwritten sign that read, “Will you marry me?” Video shows her screaming, “Oh my God!” She told Inside Edition she had no idea he was going to pop the question. She said, “I never imagined I would be that excited but in that moment, I almost couldn’t control myself, I was so happy.” Needless to say, even days later, Lauren is still on cloud nine.